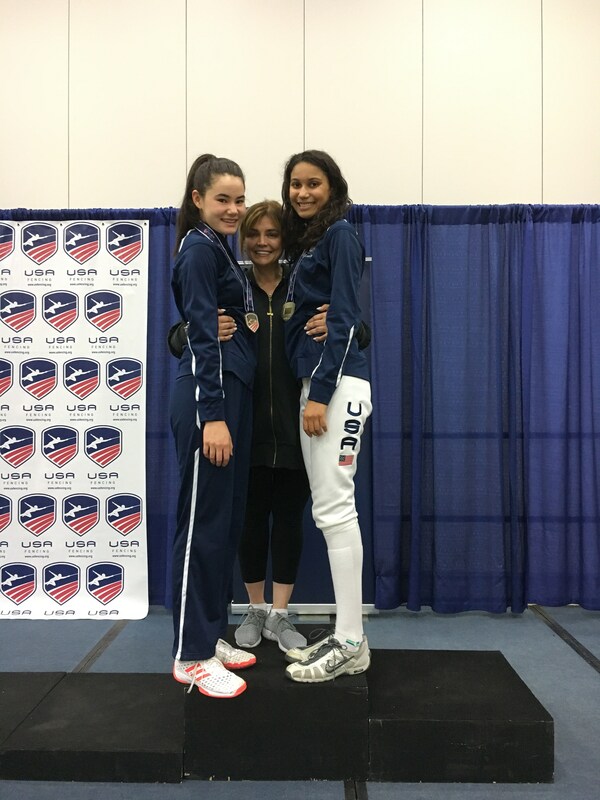 Karolina N. class of 2018 won the gold medal in the USA Fencing Cadet Division (high school, 17 yr and under) at the North American Cup in Detroit, MI competing against fencers from approximately 30 states. 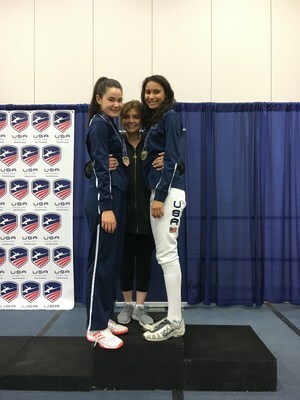 She is pictured here with her coach, Nana Demirchian, and a teammate , Catherine Beddingfield (Marlborough HS), who placed 5th. Top 8 is the medal stand.